Deputy Foreign Minister Marzuki Yahya has defended his degree from the US-based Cambridge International University (CIU), pointing out that it took him three years to complete the distance-learning business administration programme. The Bersatu secretary-general also furnished PDF copies of his degree and university transcript. The CIU, which has no relation to the UK's University of Cambridge, has been alleged to be a degree mill. In a statement this evening, Marzuki revealed that he started the course at CIU in 2002, and completed it in 2005. The deputy minister said that at the time, university accreditation was not something widely discussed and there was no list of bogus universities either. “Therefore, when I learned about the course offered by CIU which was related to the business I was in, I enrolled without placing importance on accreditation for the course offered," he explained. Marzuki, who has been facing calls to resign, said he never intended to mislead anyone regarding his academic credentials. The deputy foreign minister said he would let Prime Minister Dr Mahathir Mohamad and the Bersatu leadership decide on his position. Meanwhile, Malaysiakini discovered certain anomalies when it scrutinised his university transcript. 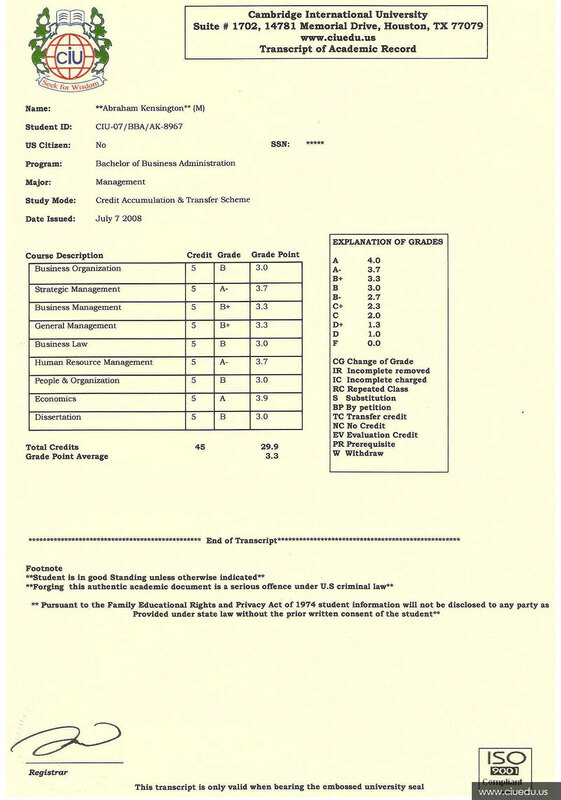 Namely, the grades for the nine subjects he took and his grade point average were exactly the same as the grades on a template transcript shared on CIU's website for the business administration programme. This includes a 3.9-grade point on the second last subject for which both Marzuki and the template transcript got an "A". According to the explanation of grades, an "A" carries a grade point of 4, while an "A - " carries a grade score of 3.7. However, the transcript does not appear to be doctored as an analysis by Malaysiakini found that the image revealed signs of being an actual printed document. The website is currently inaccessible due to allegedly being hacked. However, the gallery page is still accessible through a Google cache. 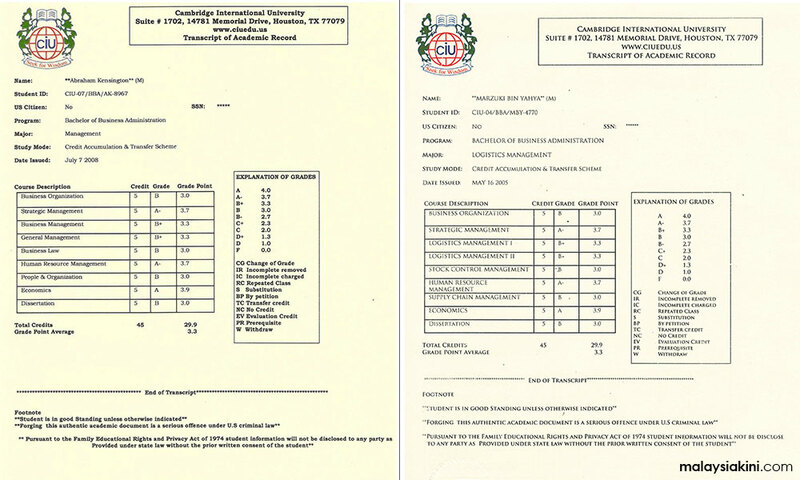 Besides the similar grades and grade point average, all other details on the transcript – namely the student ID, major, date issued, and course description – were different. 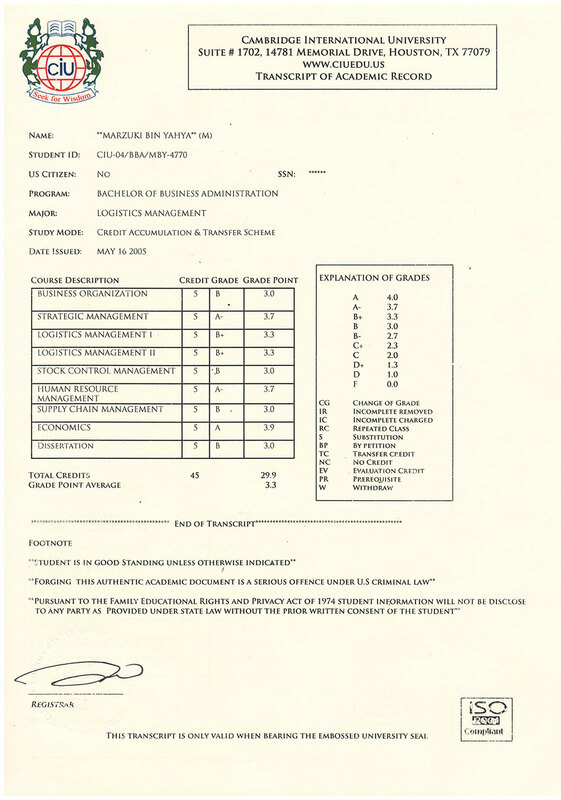 A different font was also used for the text while the signature on Marzuki's transcript is not as smooth as the one on the template. 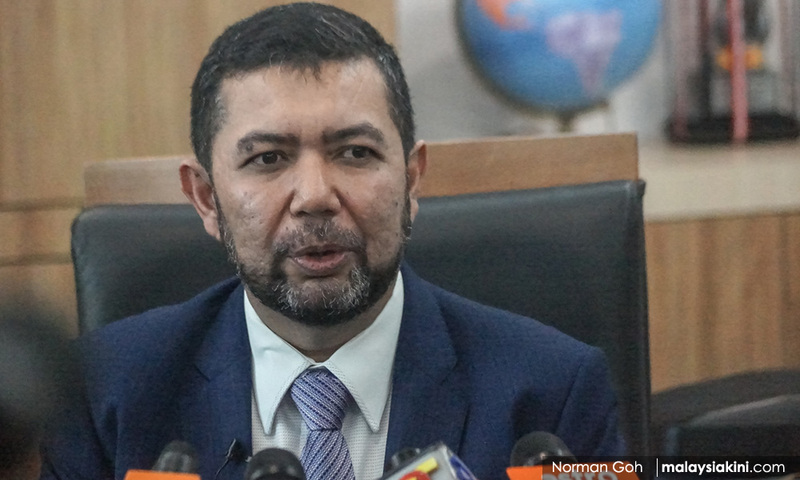 The spotlight fell on Marzuki's academic credentials after a police report was lodged over claims he had lied about obtaining a degree from the UK's University of Cambridge. Marzuki claimed he had never tried to portray himself as a University of Cambridge student. However, a Bernama article on his appointment as a senator stated that he had graduated from the UK institution.